Print paper receipts for your customers with our range of POS receipt printers. Choose from a range of Bluetooth, Ethernet & USB interface receipt printers. Be sure to check compatibility with your EPOS or mobile POS system, if you have any questions don’t hesitate to ask us. 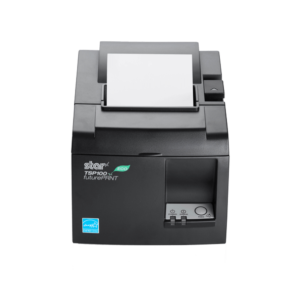 The Star Micronics TSP143LAN printer is a fast, efficient and compact thermal receipt printer. You’ll connect this printer directly into your WiFi router or network switch so you can print from your WiFi or LAN connected POS system. 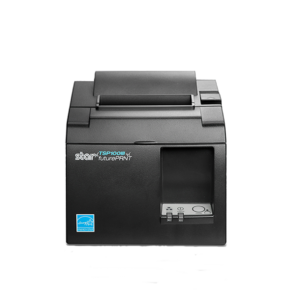 The Star TSP143U is a great value, USB thermal receipt printer. Connect to your Windows, Mac or Linux-based POS to print customer receipts with the included printer drivers. Upgrade to the ECO model for paper and power saving features. This printer is not compatible on iPad. **If you are using Square, this will only work on an iPad if you are using a Square Stand. 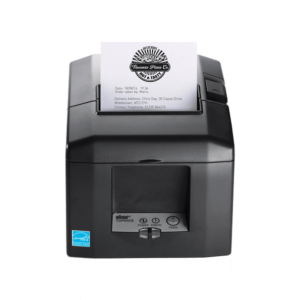 The Star TSP654 BT printer is a fast, reliable, thermal receipt printer. 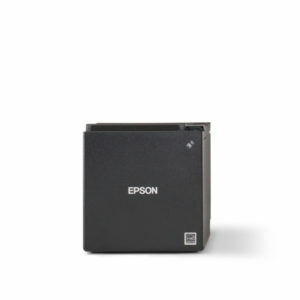 Connects directly to your Bluetooth enabled tablet or phone for cable-free printing. The Star TSP100 Bluetooth offersbuilt-in Bluetooth connectivity for printing over Bluetooth with easy set-up, high speed 250mm/second printing, high quality partial cut guillotine cutter (2 million cuts) and thin paper support (Min 53μm) for less frequent changes of paper rolls and reduced consumable costs. Featuring an Autoconnect function for iOS (Apple iPad/iPhone) after power on or an out of range situation. 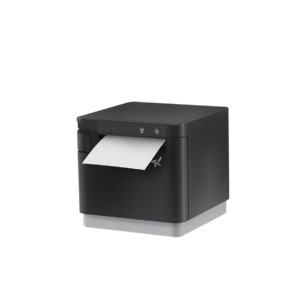 The Star TSP143II USB ECO version printer is a fast, efficient and compact thermal printer. Features include smart error reporting and real-time status updates for fast troubleshooting. 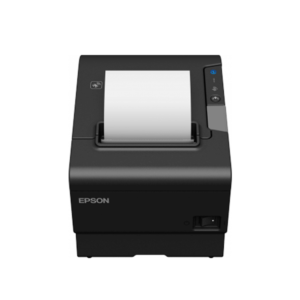 The Epson TM-T88V is a highly reliable and easy-to-use POS printer, connected to your network via ethernet cable. Ships with everything you need included in the box. 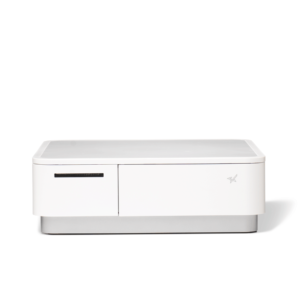 The Star TSP654 HIX is the first Apple AirPrint™ compatible receipt printer. The TM-T88V-iHub is part of the next generation of TM-i products that works as a platform for tablet-based POS solutions. It communicates with tablets and control basic POS peripherals such as barcode scanners and keyboards. It’s a comprehensive POS platform without the need for additional PC/POS terminals or drivers. A high print speed of up to 300mm/s ensures customers won’t be left waiting. 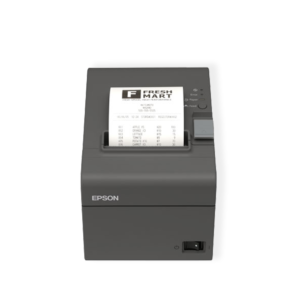 The Epson TM-M30 is a sleek and stylish compact receipt printer ideal for tablet POS environments, such as hospitality and specialist retail outlets. As one of the smallest POS printers in the world, its easy to position anywhere. By touching an NFC-equipped mobile device or tablet to the TM-m30 printer, it is easy to pair both together to print. ePOS print, the printer’s built-in intelligence that communicates with web applications, allows direct printing from ANY mobile device without the need to install or update drivers. It is available for iOS, Android and Windows. With Ethernet, Bluetooth or Wi-Fi interfaces, it can be integrated into virtually any operating environment. By easily swapping just two covers the printer can be placed either horizontally or vertically – therefore top load or front load is possible. The Star mC-Print2 is a compact, high quality and versatile solution ideal for businesses operating traditional PC POS systems as well as those migrating to tablet and web-based POS. Ideal for both traditional and tablet POS, the mC-Print2 is Star’s smallest POS printer saving valuable counter space at just 96 x 113 x 100mm while printing high quality 2″ (58mm) receipts, barcodes and graphics. Its stylish cube design and front feed together with top paper loading and easy-to-use LED display make it ideal for retail, hospitality and mobile environments where space is at a premium. 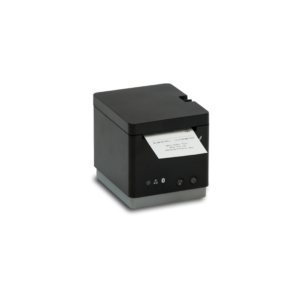 With USB, Ethernet and Lightning USB interfaces as standard and the added option of a Bluetooth Interface, the mC-Print2 receipt printer can be integrated into any traditional or tablet POS application. USB + Ethernet Interface Including UK Power Supply in Epson Dark Grey.